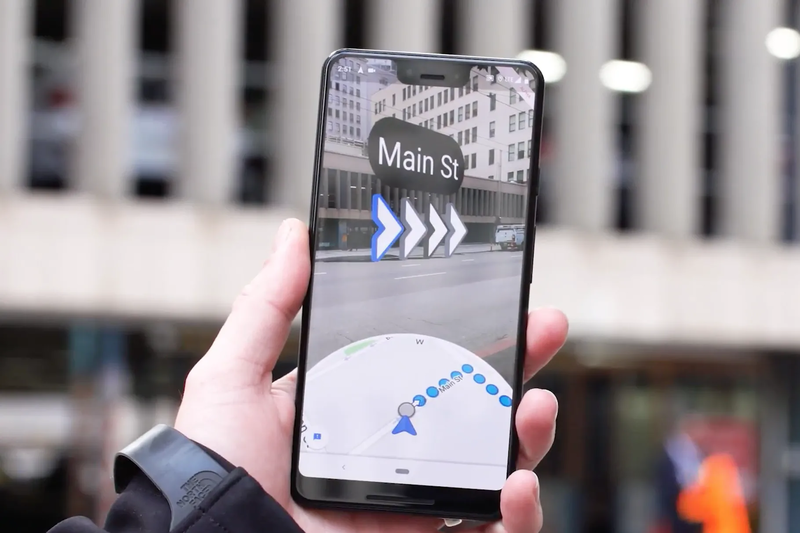 Google Maps is currently testing an augmented reality feature, first unveiled at the 2018 I/O developer’s conference, that provides users with turn-by-turn directions from your phone’s camera in real-time. It works by first locating a person via GPS and then uses Street View data to narrow it down to your exact point. Once this is determined, big arrows and directions appear on-screen. Read more for a video and additional information. “The Wall Street Journal’s David Pierce got to try out an early version of the feature. He goes on to say that the app doesn’t appear to let you use the camera persistently, urging you to put it down after a short while, and displaying its regular map interface when you do so,” reports The Verge.